Jackson’s new album Invincible tells his critics to back off, says Elina, 16. Check out the riot grrrl sound of Le Tigre. Essay contest: What’s the most fun you’ve ever had? A sleepover to remember, a crazy day in Bulgaria and a surprise date are what our contest winners found fun. Readers’ letters about stories in our November – December 2001 issue. Mountain View High students are planning to give up candy, work harder, grow five inches and win the Lottery. Six years after his last album, and at the age of 43, Michael Jackson has done it again. 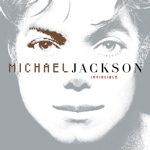 Invincible, released in October, made it instantly to the top three of the Billboard R&B/Hip-Hop Albums Chart and stayed within the top five for over seven weeks. The new album is in many ways traditional Michael, yet it has a flavor all its own. Many of the songs, such as "Break of Dawn" and "Butterflies," fall under the R&B category rather than the Pop category where we are used to seeing them. Other songs like "Unbreakable" and "Invincible" introduce a new, industrialized sound. Some of my personal favorites are "Whatever Happens," "You Rock My World," and "Don’t Walk Away." They have great rhythm and lyrics and you find yourself singing along right away. This album proves he is still the King of Pop. As my brother Dimitri, a sophomore at Granada Hills High School, says, "He can do everything—sing, dance, write, choreograph, produce, etc.—better than anyone else." Michael Jackson is a musical genius who was no doubt born to perform. By the time he graduated from grade school, he had four consecutive hit singles. He has received 13 Grammies total, eight of which were awarded all in the same year. In total, Michael Jackson has received more than 88 separate awards for his music, videos and albums. However, there are always going to be those who choose to overlook the music and judge the artist. Because of Michael’s great talent and success, he has been the target of much ridicule, scandalous rumors and life-altering accusations. But Michael Jackson is the greatest, not because of his personal life, but because of his ability to enchant millions and millions of people across the globe with his meaningful lyrics and his unmatched performances. You don’t have to like Michael Jackson to love his music. The more I listen to the CD, the more I love it. It has a song for every mood and is perfect to take around with you in your car. To all the fans, and all the critics, and even to those who don’t care one way or another, try to welcome his changes, appreciate his tradition and just enjoy his gift of amazing music. If you haven’t listened to the album yet, go out and do it now because he’s still got it!